Nearshoring + Quality Assurance = Nearsurance. But what is that? In a digital and connected world it no longer matters where you do business from - what's important is results. The Internet era allowed companies to outsource tasks, projects and even full departments to partners abroad. Outsourcing means you can extend your team beyond borders, while optimizing costs and saving time otherwise spent on recruitment and training. This kind of agility allowed businesses to create new products and push them to market faster, without worrying as much about human resource availability. Interestingly, only blue collar jobs were outsourced until the DotCom revolution happened. Nowadays, thanks to internet connectivity and convenient business management software, companies can also delegate white collar work. Even though it's technically possible to work with partners across the globe, there are some downsides to outsourcing in countries that are too far away from the client headquarters. The main deterring factors are big time gaps, expensive flights and cultural differences. More and more businesses prefer nearshoring, or, in other words, working with service providers that are either in neighboring countries or at least within a reasonable time zone range. 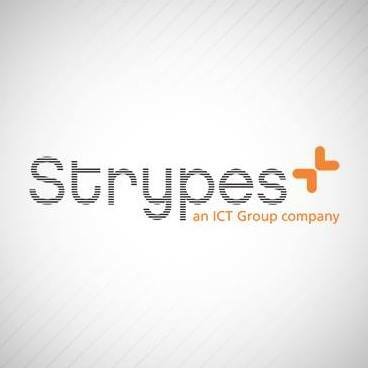 At Strypes Bulgaria, we have been a nearshore service partner for enterprise-scale clients as well as SMEs for over 10 years. During that time we developed our own service delivery framework, called nearsurance. Nearsurance derives from "nearshoring" and "process quality assurance", and aims to provide clients with more flexibility and control over the process. We combine remote service delivery with on-site project management by establishing a Strypes Front-Office (FO) and sending a dedicated Outsourcing Manager (OM) to work on client premises. The OM is tasked to build trust, act as a single point of contact during the project setup, supervise the quality of the product or service dellivered and handle escalations. In other words, this person is the bridge that helps both organizations secure a stable and lasting outsourcing partnership. After this mission is complete, the OM remains on-site to support both the client and the Strypes project manager, based in Bulgaria. What else does this model offer for me as a client? Having a dedicated contact on-site is far from the only benefit of nearsurance. We prepared a white paper that explains in detail the benefits of our proprietary model. You will find that nearsurance also contributes to cost-efficiency and allows you to count on our full expertise - not just one engineering team. We have several whitepapers and interesting articles tho share througout the year!